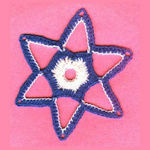 Filet Star Ornament -- $1.99 A Crochet pattern from Julie A Bolduc. 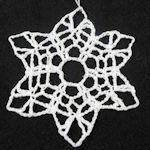 This little star is a great project for beginners who are just starting to work in filet in the round. It is purely done in file until the last round. 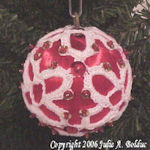 This would look wonderful on anyones tree.